Christmas happens to be one of my favorite times of the year! It is always fun to explore so many different subjects. There are so many to do during Christmas. You are going to find my collection of Christmas Printables to use with kids. 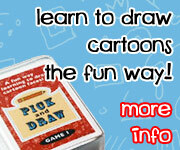 You are going to find themed packs, ABCs, learning to read, hands-on, no-prep, shapes, numbers, math and more! Plus it is growing each year. This is my HUGE Christmas Printable collection! There are over 50 different printables and over 1.500 pages of printables you can use! There is a mix of free and for sale on the page but there is something to help you with your Christmas printables needs. You are going to find themed packs, ABCs, learning to read, writing, sequencing, numbers, math shapes and more. I have divided up the printables into sections to make it easier to find what you are looking for. If you are looking for Christmas Activities check them out here. I have several different themed printables packs for Christmas and some of the levels change between to through third grade for some of the activities. Each pack has a variety of activities. You can click on the packs to see the full details of what is in each pack. There are two different Nativity Packs. Last year I made the First Nativity Pack and saw a second set of images and just had to make a second pack. Both are different in their own way. I tried to do different activities but some of the favorites can be found in them. One has 60 pages and the other has 110 pages! For the general Christmas theme, you have lots of choices. There is the Shelf Elf that can be used with Elf on the Shelf and was also a matching Set of Activities from Royal Baloo! This was a different and smaller learning pack. It is also in French. There are over 60 pages of activities. There is also an Shelf Elf Pack Update. This one added 25 more pages of activities! Plus an updated Tot as well. Polar Express Pack is great to go with the movie and book ! There are over 70 pages of activities. There are also the first time used black and white puzzles to see if they worked for a few people. The Reindeer Pack goes great with all the reindeer movies plus Royal Baloo had a matching pack with it. This pack was lots of fun to make. You have all the reindeer names and lots of ways to use them! There are over 130 pages of activities in this pack! Yes, that is 130 pages! The Christmas Pack was made to go with There Was an Old Lady Who Swallowed a Bell! . These books are always fun to have printables with. They can be used so many different ways. There are 110 pages of printables in this pack! The 12 Days of Christmas Pack is a pack I have wanted to have for a while! It goes great with the books or the songs. It is over 125 pages long! This is a new pack for 2013! Plus there is also a Dot Marker set as well! The Christmas Mini Pack was made to go with the Safari Ltd Designer TOOBS Christmas . Almost all the activities can be used with the toob. We had tons of fun with this. This is a HUGE Christmas Learning Pack! It has over 182 pages in the regular pack and 46 in the Tot pack. It is full of Math and Language activities! This one took me a while to make and I’m excited to share it with everyone! The Free Nutcracker Pack is a fun learning pack with over 60 pages. A Christmas Carol Pack is great for this season. Plus is a fun story to learn with! Plus there is a A Christmas Carol Dot Marker Set as well! There are many different types of printables on the site for math, numbers, shapes and even some counting. These are loads of fun to use and have a great mix of hands-on and no-prep printables to use with kids. Christmas Themed Finds are an easy no-prep printable for shapes, numbers, addition and skip counting. Christmas Themed Number Set 0 to 10 are easy to use number books, no-prep printables, and hands-on printables. Winter Themed Number Color and Trace set has winter and Christmas themes in it: Christmas themes (general), Gingerbread Man and Reindeer. Check out the Roll a Christmas tree, a fun match activity for various levels of learning Prek through 3rd grade. it has addition, counting and multiplication. Easy To Use: Reindeer Array Clip Cards & Worksheet is a great activity for multiplication review with arrays. Countdown to Christmas with Numbers & Math is a great way to get some math and number work with your countdown. Hands on Addition & Subtraction Mats are a fun way to work on learning math with ten frames. Easy No-Prep Christmas Math Facts work for both addution & subtraction or multiplication & division. Easy to Use Christmas Tree Hands-On Multiplication Mat is tons of fun for kids to learn multiplication with! Check out the fun way to learn fractions with the Hand-On Comparing Christmas Tree Fractions. No-Prep Spin & Cover Christmas Math has three levels: counting, addition and multiplication. Easy to Use Christmas Skip Counting Clip Cards are loads of fun for kids to practice skip counting and my girls just love using them. The Easy To Use No-Prep Christmas Place Value Printable works on two different levels of placevalue and it loads of fun for kids to use. The Christmas Tree Spin & Trace Shapes is a fun activity that works on fine motor skills and tracing shapes. Fine Motor Fun With Christmas Lights Shape Tracing has 9 shapes to trace and color. The No-Prep Christmas Themed Word Printables are great to just working on those addition and subtraction problems. You are going to find a mix of activities here. There are ABCs blends, digraphs, writing, reading logs, easy reader books and more. It is a mix of hands-on and no-prep printables for kids to use. Christmas Themed Finds are an easy no-prep printable for sight words, and ABCs. Sequencing for Winter & Christmas set has a collection of Christmas and Winter themes: Christmas Tree, Making Cookies, Wrapping a Gift, and Making Hot Chocolate. Christmas Themed Blends & Digraphs Easy Reader Book is a great way to work on Christmas works and blends and digraphs at the same time. It is a fun book for kids to use. Have some fun making words from the letters from Merry Christmas! This is a great language arts activity. A funw ay to work on CVC and CVCC words with these CVC & CVCC Christmas Tree Writing Printable. Gingerbread Man Story ABC Easy Reader Book is a great way to explore lowercase letters with the story. Fun Hands-On Gingerbread Rhyming CVC Clip Cards has 31 cards plus a recording sheet for kids to use. A fun Cookies for Santa Easy Reader Book. This has 8 fun pages to read. Learn short vs long vowel sounds with this Christmas Tree Vowel Sound Sorting: CVC vs CVCe. Christmas Themed ABC Tracing With Print & Cursive lets you work on all 26 letters with a fun Christmas themed words for each page. Easy No-Prep Christmas Blends Find & Color is a great way to work on a few blends this Christmas. Hands-On Christmas Themed Word Puzzles are a great way to work on Christmas words. Hands-On Learning With Nativity Word Puzzles is a fun way to work on learning the Nativity words. Nativity Centered Christmas Writing Paper is a fun an easy want to get in some writing. Nativity Themed Bookmarks with Scriptures are a fun way to tell the Nativity story. Christmas Bucket List is a fun way to get some writing in during the Christmas season. There are three levels. The Christmas Thank You Notes are great for kids writing to their teachers or family. Nativity Themed Thank You Cards is a great way to say thanks during this time of year. Christmas Themed writing paper will make writing fun during Christmas time. 2 types of lines for each image. Here are some fun and easy reading chart to use with your kids during Christmas. There are fun 100 charts to use. A Fun Mini Nativity Sequencing Printable is a fun way to tell the story of the Birth of Jesus. Nativity Easy Reader Book is a great way to learn a few of the Nativity words. Use these Fun Christmas Themed Bookmarks to kee track of your reading. Christmas Tree ABC Tracing Strips are a set of printables I made for FreeHomeschoolDeals.com. Who does not enjoy some coloring during Christmas? I have a collection of different coloring pages that have been made. Some are for colors, placemats and more. Keep kids busy at the table with Christmas Themed Placemats!. The Christmas Themed Color Coloring Printables are lots of to learn your colors with. You have 11 different colors to pick from. Coloring Nativity with Print & Cursive for those learning to write print and cursive. All the Nativity words kids can learn. The Christmas Coloring with Print & Cursive words has 24 Christmas Themes for them to color. It is always fun to count down to Christmas. I love having new ways all the time. Check out these different countdown printables. 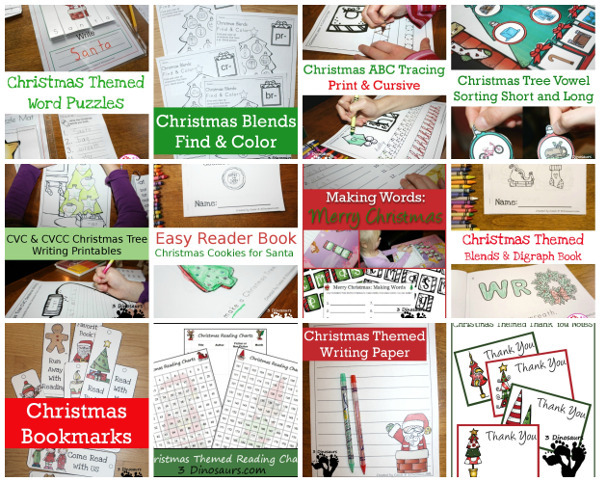 Countdown to Christmas with book and these printables to help! There are several themes to pick from! Single page Countdowns for kids to cover the numbers as the days go by! Countdown to Chrismtas with Bookmarks are fun and easy to use. There are 4 different themes to pick from. Here is a collection of other Christmas themed printables. It has some fine motor, gross motor, calendars and more. Nativity Prewriting Printables with two different types solid and dashed lines. There is also a Elf on the Shelf themed printable. THis also has the two different types of lines for tracing. Christmas Themed Gross Motor Dice are a fun way to get kids moving. Run Run As Fast As You Can With The Gingerbread Man Gross Motor Dice is a great way to retell the story! Christmas Calendar Cards and the Nativity Calendar Cards are great to use during Christmas. Finger puppets for the Polar Express and Reindeer are tons of fun to play with. Did you see a printable you are going to be using this Christmas! This entry was posted in printable pack, round up and tagged christmas, nativity, printables, round up. Bookmark the permalink. You have such a wonderful variety of December learning packs. I have shared this post on Google+. I’m glad you like them! I hope to update some and do one new pack as well. Thank you for the beautiful and creative worksheets. I love the Thanksgiving dot art pages and so does my toddler. Just wanted to say a big THANK YOU for your site! I absolutely love all of the free printables and ideas. Your hard work is very much appreciated!! Thanks Cassie! Love all of them. You rock! These printable packs are chalk full of holiday fun 🙂 Your hard work, dedication, and desire to share your talents with others shines through in everything you do. Thank you for sharing this week on the Thoughtful Spot Weekly Blog Hop! So many wonderful printables … and how nice of you to organize them all in one convenient spot for us. I’ll be pinning this one for sure! 🙂 Thanks for sharing at Manic Monday! I found your post through the After School link-up. I’ve pinned it 🙂 Thank you for sharing! Thank you for the great collection of Christmas printables – and congrats on your 20,000+ Pinterest followers! That’s so awesome!! We appreciate you linking up at After School.